A few years ago I came across a book called The Rosie Project and being intrigued by it decided to give it a read. After trying so hard to stay with it, however, I had to give up reading it. It just wasn't for me. Flash forward a few years later and I find out about The Best of Adam Sharp by the same author but with a completely different presence to the former novel. Being someone with an open mind I decided to give this novel a chance, hoping that it would be better than The Rosie Project and that I would actually finish it. Music lover, part time musician and IT consultant Adam Sharp is on the brink of turning fifty. A happy introvert, Adam is quite content with his life. He is the expert on music at his local pub quiz and both him and his wife Claire just get on with life. His life isn't rock 'n' roll but its an easy one. That is until his former lover, Australian actress Angelina Brown gets in touch after twenty years. The couple had a passionate, yet short affair and he taught him how it felt to find and then lose love. Adam has sung and heard songs about second chances but can he bring himself to believe in them? Okay, I'm just going to be honest here. I really didn't find anything that stood out to me in this novel. Which is a shame as I did want so badly to enjoy it. I felt like I owed that to the author after not liking his first novel. It just wasn't meant to be. The idea behind the novel was pretty cliche. Guy meets true love, guy looses said love, guy marries another, ex lover gets in touch, old feelings come to surface. I'd read books about that topic before so it was slightly boring to read about. The mention of music was one of the only things I did like. As a music lover it was great to have this in the story. I wish there could have been more though. It would've also been good to hear more about Adam's current musical status. Adam as a character was one that I just couldn't bring myself to like or enjoy reading about. He was slightly mundane and I found myself getting annoyed with him. He didn't take Claire's feelings into account and the fact that he went after Angelina at the first chance he got really did show how much he valued his failing marriage. Adultery is nothing to be pleased about and it felt to me that this book was showcasing it in a positive light. Angelina I couldn't connect with either. It felt at times that she knew she was going to have Adam eating out the palm of her hand. At the start of the novel, yes, I did feel sorry for her with regards to her first marriage being on the rocks. That all changed when she got back in touch with Adam. She knew he was married but kept flirting knowing he was going to eventually give in to her. The only character I had a little bit of compassion for was Claire, she went through a lot and Adam should have thought about her feelings a lot more than he did. 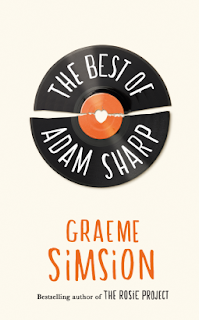 I was extremely disappointed with The Best of Adam Sharp, very much so that I didn't even finish the whole book. 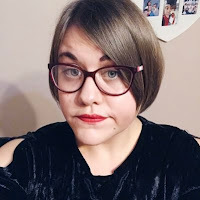 Something that I have never done since starting this blog before. 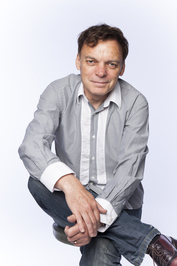 Maybe the works of Graeme Simsion just aren't for me. That's not to say that everyone will dislike this book. Everyone is different after all. This book just wasn't my taste in the end. 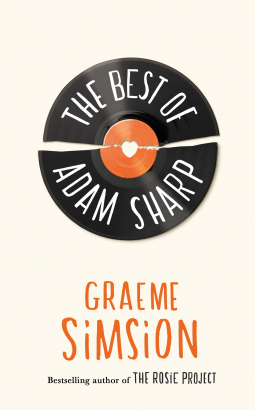 Graeme's third novel is The Best of Adam Sharp, a story of a love affair re-kindled - and its consequences. Graeme lives in Australia with his wife, Anne Buist, also a published writer ( Medea's Curse, Dangerous to Know).